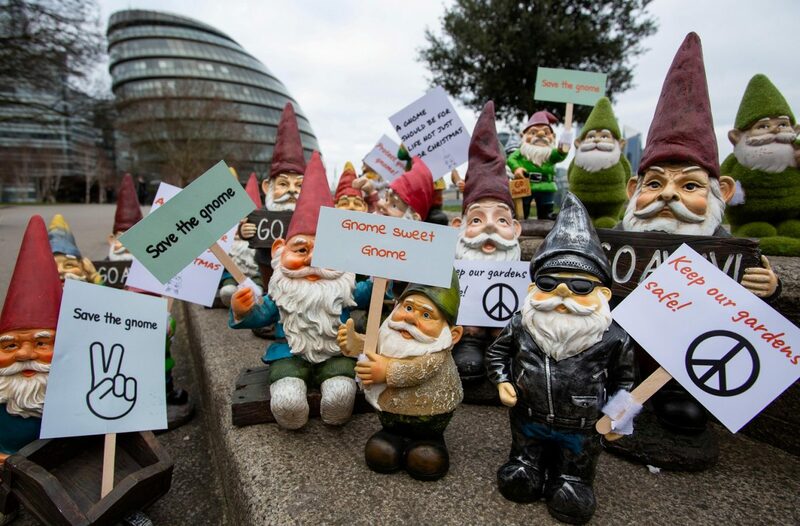 An army of gnomes assembled outside City Hall yesterday to protest against the increasing number of items that are being stolen from our gardens. 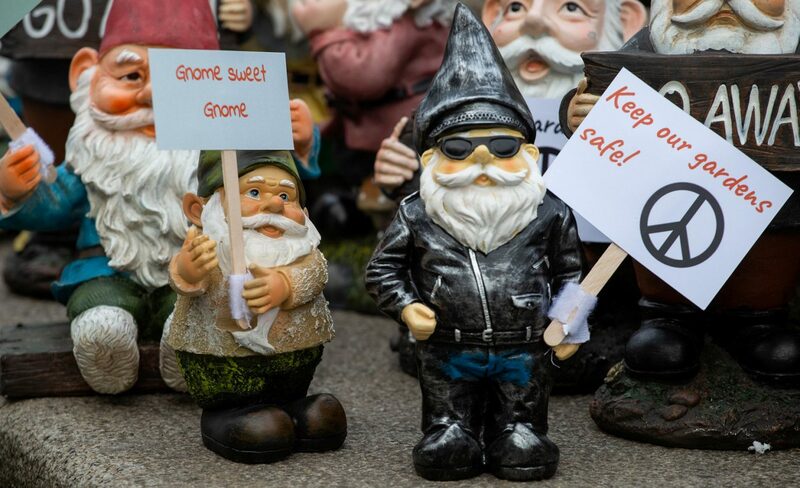 Four in 10 homeowners have had items stolen from their garden – including bikes, plant pots and the iconic lawn ornament figurines. 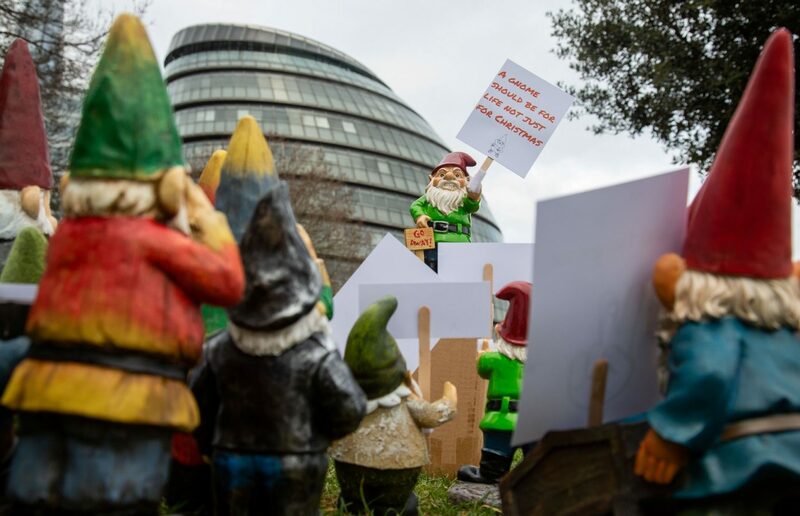 The demonstration called on homeowners to do more to protect their dwellings.